I’d like to begin by thanking Spinfuel for giving me this little corner of their fine publication. I’m Jason Artman. Through my website eCig One, I offer freelance writing and SEO services to companies in the vaping industry. Before starting that business, I was a full-time freelance writer – primarily for the tech industry – for more than a decade. My clients included some of Silicon Valley’s best-known companies. My life – and my career path – changed forever when I stopped smoking and started vaping in 2010. 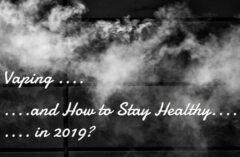 I’ve spent a lot of years learning what does and doesn’t work in the realm of digital marketing – and showing vape shop owners how to succeed online has become one of my passions. 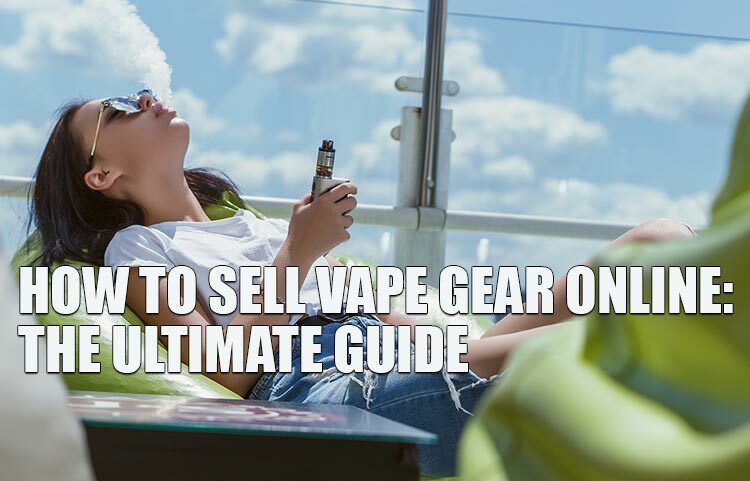 In this series, I’m going to do just that by explaining exactly how to sell vape gear online. We’re going to explore all of the major steps along the journey from the germ of an idea to a thriving online vape shop – and there’s no better place to begin than with your domain name. If you’re new to online marketing, you might think that it’s possible to succeed with almost any domain name. Google, after all, is going to be your main source of traffic. People will search for the latest mod from SMOK or some other company, and hopefully you’ll pop up somewhere on the first results page. What difference does your domain name make when people will find you through web searches either way? Consider this: What are the websites that you visit most often? When you visit those sites, do you search Google for their names? No; you type the domain names directly. That’s the difference between an ordinary website and a brand. You forget an ordinary website after your first visit. You remember a brand and return to it over and over. Before you sell a single product, before you have a website – even before you register your domain name – branding should be the first thing on your mind. That’s why choosing the right domain name is so important. Before you start the process of registering your vape shop’s domain name, spend plenty of time brainstorming. Come up with as many potential domain names as you can. Once you have a list, ask yourself these questions about each candidate. Is the domain name short enough to be truly memorable? If it isn’t memorable, cross it off the list. Would someone be able to type the domain name with no mistakes after hearing it in conversation or on the radio? Think of the possible variations that someone might type if they heard a domain name like “number one vape shop dot com.” Is it number1vapeshop.com, or is it numberonevapeshop.com? Put a different way, imagine the traffic that flickr.com probably sent to flicker.com while they were still establishing their brand. If a domain name doesn’t pass the ear test, cross it off the list unless the name is so good that the extra time and expense necessary to establish that brand would be worthwhile. It’s often a good idea for your domain name to say something about your business. If you run a vape shop in Chicago, a domain name like chicagovapeshop.com describes exactly what people will find when they click through to your site from Google’s search results pages. It may also give you an SEO advantage for searches relating to vape shops in Chicago. On the other hand, some of the Internet’s most successful brands – Amazon, for example – have domain names that tell you absolutely nothing about what they do. Hitting a little closer to home, Spinfuel is a second example of that branding strategy. Both naming strategies can work. A descriptive domain name might become successful more quickly, but an invented term can potentially become a more memorable brand name in the long run. Your domain name and brand name absolutely must be the same. Don’t even think about registering your domain name and putting another name at the top of your website or on the front of your brick-and-mortar vape shop. If you break this rule, your likelihood of success online will be almost zero. With any luck, you have a nice, long list of short, catchy and memorable domain name candidates at this point. You’re probably anxious to know whether any of your ideas are available to register – but don’t check just yet. To avoid potential domain name front running, you should never check the availability of a domain namethat you aren’t prepared to register immediately. First, though, we’re going to narrow the list a bit further. Your domain name will become your brand, and you’ll eventually want to register that brand as a trademark. You can save yourself a major headache in the future, therefore, by making sure that your domain name won’t potentially violate an existing trademark. Begin your search at these websites. You can register a domain name for as little as $10 or so. However, many online entrepreneurs – I’m among them – have learned the hard way that registering just one version of your domain name creates the potential of a problem later. You absolutely must get the .com version of your domain name, but you shouldn’t stop there. You should also grab the .net and .org extensions along with as many international extensions as you can. If your domain name idea is good enough that the .com version is worth having, someone else will eventually decide that the .co.uk version is also worth having – and then you’ll have a competitor with the same brand name as you. Don’t let that happen. It is much better to spend a couple hundred dollars up front than to deal with a major brand identity issue a year or two down the line. Remember the ear test that I mentioned above? If it’s possible to misspell your domain name after hearing it, you’ll also need to register every possible misspelling if you want to avoid people telling you that they can’t find your website. Check your list again. Are you surethat each one passes the ear test? In my opinion, you should not proceed with a domain name idea if you can’t get the .com extension for that name. That presents a possible problem; if you have a really great domain name idea, someone else may have registered the domain already. There are tens of millions of domain names registered for no purpose other than speculation and potential resale. If your desired domain name is a single English word, it’s already registered – and many two-word and three-word domains are taken as well. Before you run a domain availability search, decide whether you’re prepared to negotiate for a domain owned by a speculator. Domain speculators often list their domains for thousands of dollars – but they’re not always expecting to actually earn that much. If it’s unlikely that many people would find a particular domain name useful, don’t pay the sticker price. Domain speculators don’t earn money unless they find buyers. Make a lowball offer and prepare yourself to meet somewhere in the middle. Walk away if you can’t agree on a price; you may hear from the domain’s owner in a few months if another buyer doesn’t materialize. There are many domain registrars out there, and many web hosts also function as registrars. You can register your domain name with the company that will host your website, but you don’t need to. You don’t need to worry that a web host will hold your domain name hostage if you want to change hosts. You’re free to transfer your domain to another registrar in the future if you like. Your top consideration in choosing a domain registrar should be security. A registrar should have an ironclad security policy that makes it impossible to transfer a domain to a different registrar without your permission. Many registrars offer two-factor authentication using solutions such as the Google Authenticator app. With two-factor authentication in place, a potential domain thief would have to know your password for the registrar’s website, have access to your email account and have possession of your phone to steal your domain. Domain theft does happen, and it can ruin a small business. Domain thieves aren’t targeting IBM; they’re targeting people like you. Should You Get Privacy Protection? You now know everything there is to know about registering the perfect domain name for your vape shop. It’s time to pull the trigger. Go to your chosen registrar’s website and start checking the availability of the domain names on your list. If you find one that’s available, register it immediately. When you go through the domain registration process, your registrar might ask if you’d like privacy protection for an additional fee. If you have privacy protection, anyone running a WHOIS query on your domain name will not see your name and contact information. Instead, they’ll see the name of a third-party service such as PrivacyProtect.org. To contact you, people will need to go through the privacy protection service. On one hand, getting privacy protection helps to protect you from spam. Before ticking that box, though, you should ask yourself what an anonymous domain registration says about your business. Fielding email and phone calls is part of any small business owner’s job. If potential customers think that you’re trying to make contacting your company difficult, they may go elsewhere. If you live in Europe, there’s no need to worry about whether you should get privacy protection for your domain. Thanks to the General Data Protection Regulation, you’ll get privacy protection automatically. After you register your vape shop’s domain name, your work isn’t quite done. Eventually, you’ll probably want to use social media as a marketing channel – and all major social networks offer vanity URLs that essentially function as domain names of their own. Your domain name is now your brand, so protect it by securing your user name and vanity URL on every social network. Do it even on networks that you don’t intend to use; you never know how your marketing strategy might change in the future. 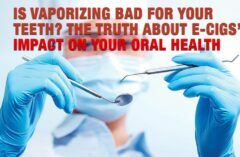 I hope you’ve found this guide helpful in launching your vaping brand and avoiding some of the common mistakes that new online entrepreneurs make. Do you have a question that I haven’t answered here? Leave a comment below or drop me a line at admin@ecigone.com. In the next column, we’ll explore what you should do with your new domain name.